nicaragua safe: who would have thought? LYING between Colombia’s coca bushes and Mexico’s cocaine traffickers, Central America is a choke point on the drugs trail. In 2010 the smugglers ensured that Honduras, El Salvador, Belize and Guatemala were among the world’s seven most violent countries. Costa Rica and Panama are richer and safer. But since 2007 their murder rates have respectively risen by a third and nearly doubled. Amid this inferno Nicaragua, the poorest country in mainland Latin America, is remarkably safe. Whereas Honduras’s murder rate in 2010 was 82 per 100,000 people, the world’s highest in over a decade, Nicaragua’s was just 13, unchanged in five years. That means it is now less violent than booming Panama, and may soon be safer than Costa Rica, a tourist haven. What explains the relative peace? It went on to ponder the answer to this question, and came to no definitive answer. 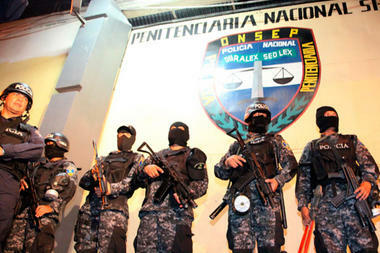 It singularly failed to mention the roots of both the Army and the Police in the Sandinista revolution, the fact that these two organisations (and their heads) are the most trusted institutions in the country, and that they have largely avoided being sucked into the drugs vortex that have engulfed their neighbouring counterparts. For those who accuse Daniel Ortega of establishing a dictatorship (including the Economist), this contradiction is hard to explain. In fact, some journalists almost seem to be eagerly awaiting Nicaragua’s descent into drug hell, so they can lay this at the door of the Sandinistas as well (see here). Meanwhile, the US Peace Corp pulled out its volunteers from Honduras before Christmas because of rising crime levels (see the BBC’s report here), as well as stopping training new volunteers for Guatemala and El Salvador. The last few months have seen the killing of numerous activists, especially in Honduras where assassinations and forced disappearances are now routine thanks to the climate of impunity promoted or at least allowed by the illegitmate government currently in power. The outlook for Guatemala is not too bright either, after the election of former general Otto Perez Molina as President in November. His crimes the first time round, in the war of extermination waged by the Guatemalan military against the Mayan and workers organisations in the 1980s, are detailed here. But there is a glimmer of light for both countries. They both score higher for political and civil rights than Nicargaua in Freedom House’s ‘freedom rating’, which we have written about in a previous post. Presumably this will be some comfort when you are gunned down by hit men, drug gangs or death squads in the streets of Tegucigalpa or Guatemala City.